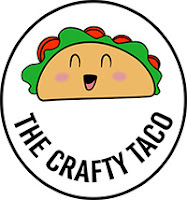 Do you have a love affair with multiple indie brands, but hate having to make seven thousand Etsy purchases and make your mail man and your banker question your sanity? 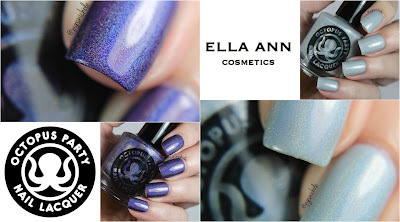 Then maybe you should investigate Ella Ann Cosmetics...especially since they will be carrying OPNL! Hooray! This particular shade is a delicate, grayed out blue that reminds me so hard of Cinderella...but modern. It is crisp and clean and simple, with a delicate linear holo that gives off an almost platinum flash at certain angles. The jelly-like formula is easy to work with, even with actual rain falling from the sky and I think for normal circumstances I could do two normal coats and be done. I used three + Seche Vite below just to keep my lights from showing any nail line. Are you done with indigo? 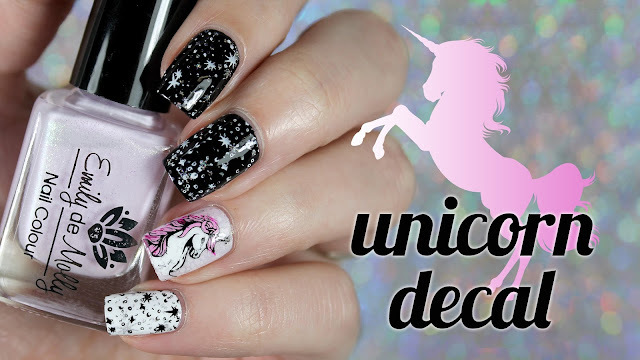 How about adding a dusting of dark fuchsia flakes and some holo glitters? Oh, and let's make it kinda blurple leaning...yeah I thought that would grab you back. This is a deep blue-violet, defiantly holo, metallic bellied polish right here, guys. 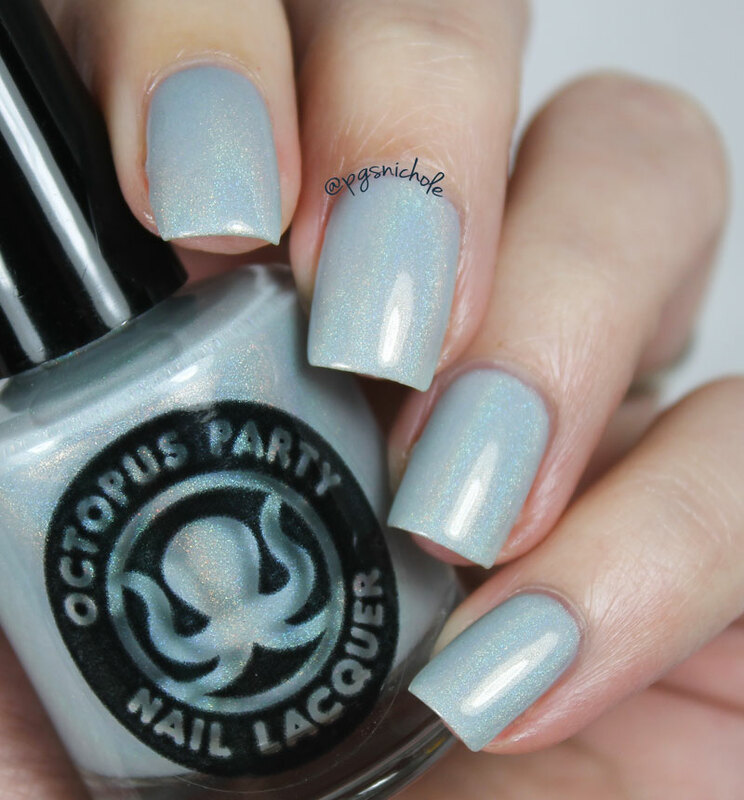 It is exactly what you want from intense shades like this, and Mr Octopus certainly has a knack for making these. (I'll have a proper comparison soon, but you can see a quickie in the Octosquad). I used two coats + SV for these pictures below and it was perfection. These two delicious shades are Ella Ann exclusives and were released on Friday October 30. But fear not, you will have another bite at these two shades in a week when a pre-order event happens. I will update you guys when I know more about that particular party! 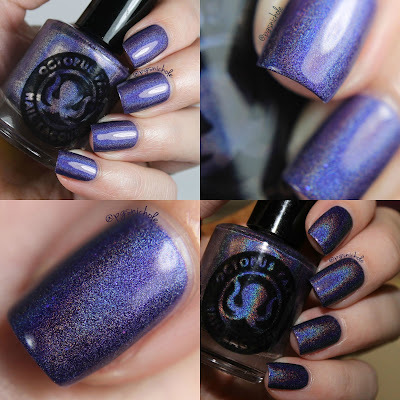 also, do you guys find the flash photography acceptable for holos? I am having the damnedest time getting the Sun to cooperate, and with El Niño coming this winter who knows when I'll get good weather. If you have any tips on indoor holo-photos...let me know! Bunny Scope is just so pretty! I love a good subtle shade like that! 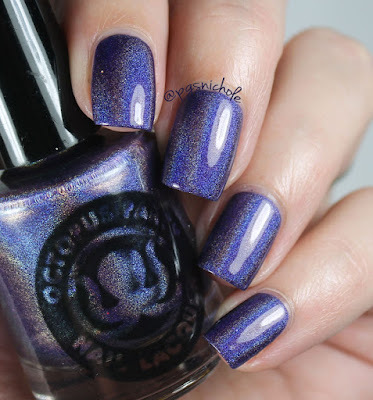 Mannnnn, Dave really draws me in with those blurple-y holos. Love Bunny Scope. One the fence with Duchess because of my sheer amount of blues that remain unworn. Ohh Bunny Scope is amazing! I really like both of these. Fantastic shades. Double Duchess made my eyes go wide - it's so gorgeous and vivid! Ow dang it, you made me click the link... You beautiful enabler, you! Double Duchess is just divine!